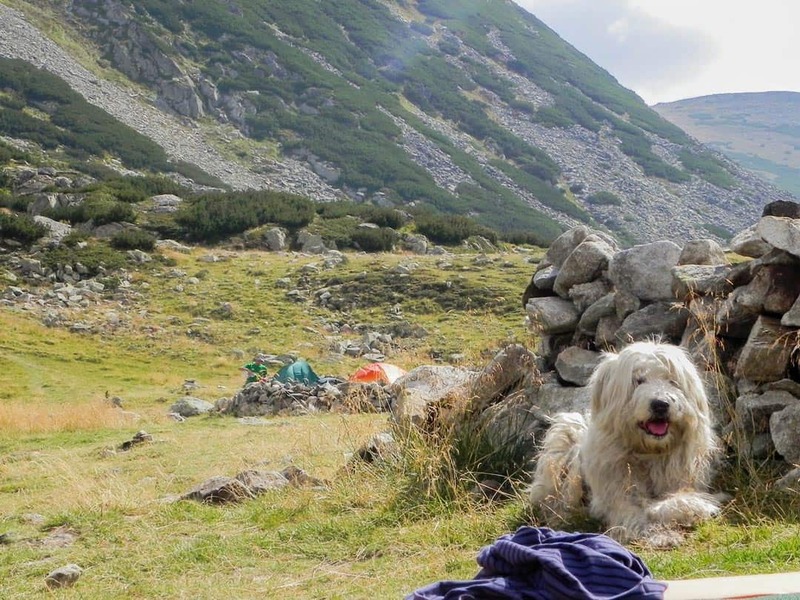 Everything you need to know about hiking in Romania. The majority of travelers who visit my home country seldom choose Romania for its mountains. They usually come for Dracula, medieval towns like Sighișoara and the capital city of Bucharest, overlooking the country’s most impressive attraction of all, the majestic Carpathians. I am here to ask you to look beyond the usual tourist attractions and consider hiking in Romania – if you love nature, have a sense of adventure and respect the great outdoors, you will not be disappointed! 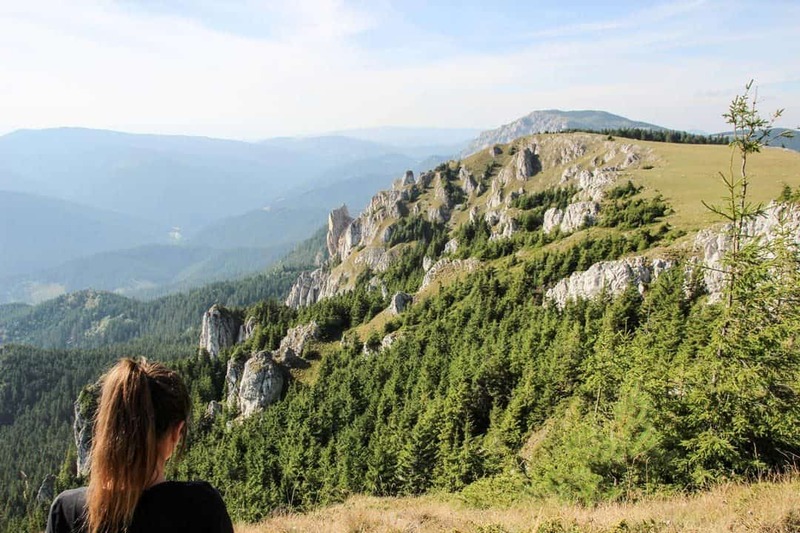 You don’t need to be a power hiker to get a glimpse of some of the most spectacular panoramas in Romania. Several trails are extremely easy to conquer, offering a more than rewarding view from the top! On one of my recent hikes my parents and I took a short and easy hour-long walk to Ciucaru Mic Peak (313 meters). Once we reached the highest point we were astonished by the killer view the peak offered of the Cazan Gorge, the natural border between Serbia and Romania. An easy hike to Ciucaru Mic Peak at 313m. Even if you’re not much of a hiker, Romania still has some amazing paved mountain road crossings for you to enjoy. One of them, the Transfăgărășan, has been named “the best road in the world” by Top Gear host Jeremy Clarkson due to its magnificent surroundings and exciting drive. Numerous other such crossings can be found scattered around the Carpathians, offering proximity to mountain peaks and hiking trails. Mountain lakes are cold, clean and usually crystal-clear. This general rule applies to the majority of lakes in Romania too. That’s why they make for outstanding hiking destinations. 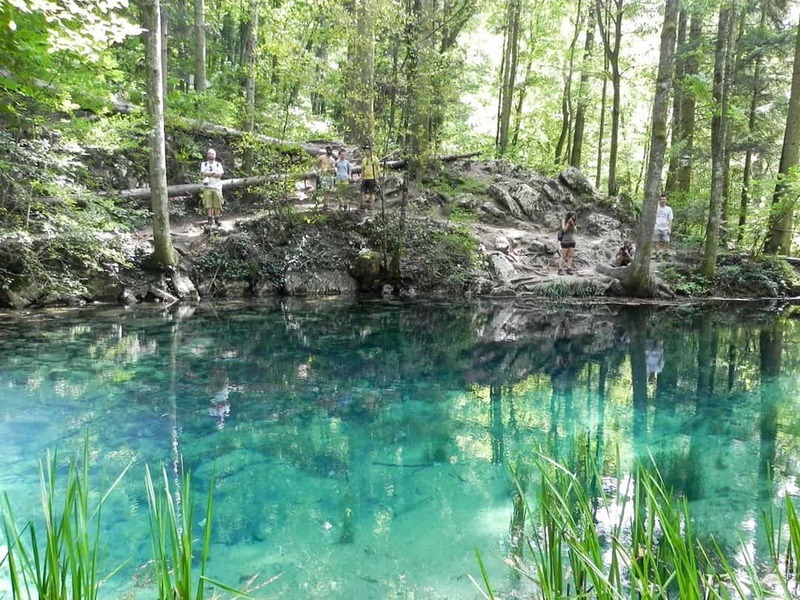 The most spectacular ones can be found amongst limestone rocks which boast an imposing turquoise hue, such as the Ochiul Beiului Lake of the Cheile Nerei-Beușnița National Park. If you’re in the mood to challenge yourself and aren’t afraid of getting wet, river gorges are definitely the thing for you! Similarly to the lake above, gorges can mainly be found in the limestone mountains of Romania. 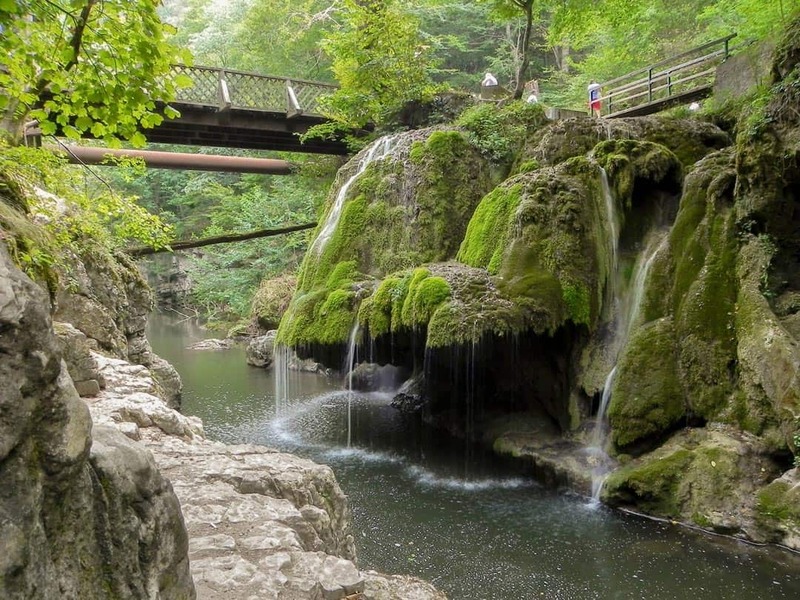 They offer an unforgettable experience, as sometimes you’ll need to trek through the water (like in the Râmeț Gorge), whilst on other occasions you will need climb up ladders adjacent to waterfalls (like at the 7 Ladders Gorge) – an activity best enjoyed in summer. Speaking of waterfalls, some of them are exceptionally memorable. The Bigăr Falls, for example, is one of the most beautiful in the country. Due to its unusual shape it has been named among the top unique waterfalls in the world by The World Geography. Even if you’re a skilled trekker, hiking in Romania will surely not disappoint. The most challenging and lengthy hiking trails are found in the Southern Carpathians – especially in the Bucegi, Făgăraș and Retezat Mountains. 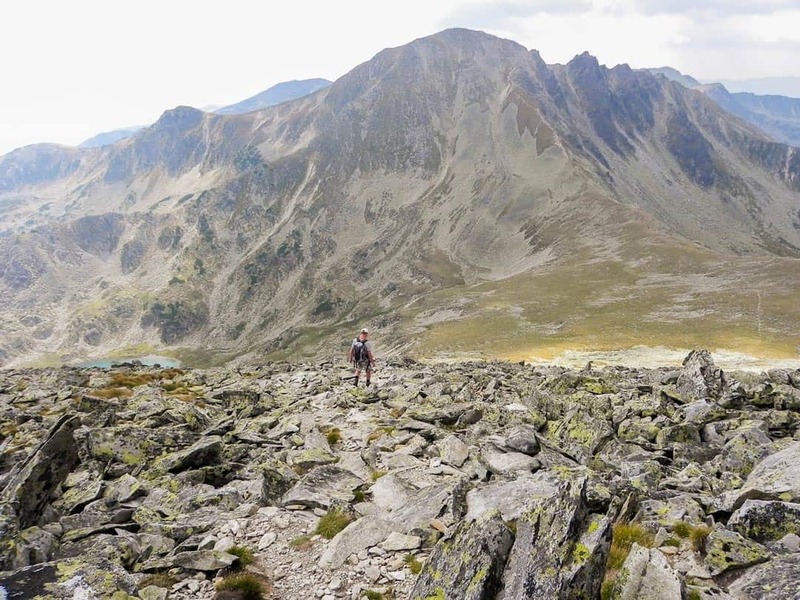 If you really want to wear yourself out, choose the trail leading to the Moldoveanu Peak, from where you can admire the surroundings from a whopping 2,544 meters. A difficult train in the Retezat Mountains in the Southern Carparthians. Document yourself before heading out into the wild. Check out the weather forecast and road conditions. Alert the local authorities if you’re planning on trekking alone and be aware of the full length and difficulty of the path chosen. Last but not least, don’t forget about proper layering, dressing for the season and the importance of an appropriate hiking gear! Harghita Madaras during winter in the Eastern Carpathians. Albeit the main roads and the mountain crossing roads mentioned above are well-maintained, some passages are less so. In fact, there are plenty of small side roads which are unpaved and full of potholes, but they actually give you a head start on your hike. Truth be told, if you go slow enough you can’t actually do any harm to your car. But the decision of cutting your hike shorter with a drive or choosing to leave your car the moment you leave the paved road is totally up to you. Even though a river, stream or lake might seem clear at first glance, you never know how many cows actually drank from it before you got there. 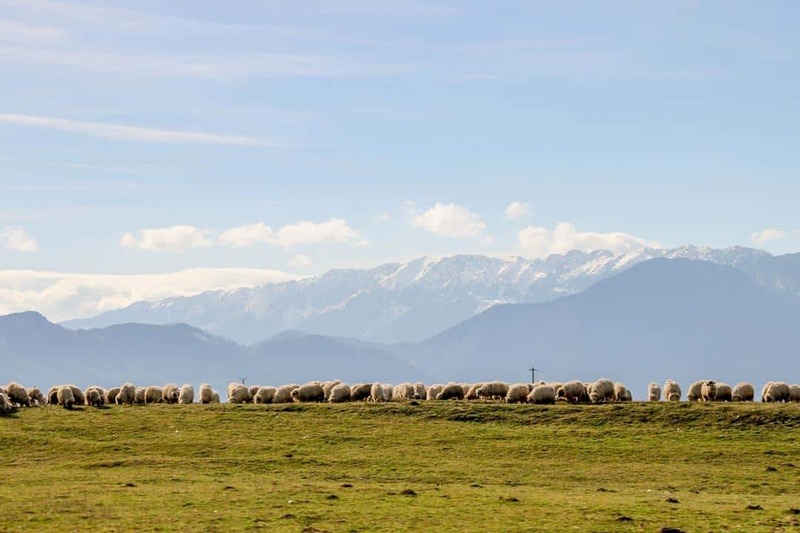 The main issue is the fact that there are numerous herds of sheep and cattle governing the mountains, drinking from the mentioned water sources. That’s why there are designated springs with the sign IZVOR on them supplying water that is safe to drink. These sources are marked on any given hiking map, so plan your route according to them to avoid running out of drinking water. Where there’s a sheep herd, there will certainly be shepherd dogs. Usually there are more than a few protecting the fluffy grazing animals from anything that approaches them. They will probably notice you way sooner than you will see them, signalling your proximity with some aggressive barking. The best thing to do is to remain calm and keep on advancing. Chances are that the shepherd is right there, keeping his dogs under control. Although the barking will continue until you pass them, remember not to make any sudden movements, don’t project any aggressiveness and avoid eye contact. You should be fine as long as you don’t provoke them in any way. A shepherd dog in the mountains of Romania. Quick fact: There are more than 6,000 brown bears living in the forests of Romania. I’ve been hiking in Romania for over 5 years and I haven’t seen one yet. There are a couple of things you can do to make sure you don’t see one either. First and foremost if you’re hiking by yourself or with a small group, make some noise. Don’t trek in silence, because you might find yourself face to face with an extremely surprised bear that will attack out of fear. If you decide to camp in the great outdoors, never keep your food in your tent – it attracts the wild animals. Choose a tree that’s at least 10-15 meters away from your tent and place your food there (preferably tie it to a high branch on the tree). If you happen to run into a bear on the trail, but you haven’t been spotted yet, slowly and silently back away; chances are he won’t notice you. There are many opinions of what to do if a brown bear has spotted you and might decide to approach you. One of the most popular beliefs is that you should wave with your arms and hiking sticks to give the illusion of being a large creature and scream your lungs out to scare it away. You might want to take some bear spray with you for caution. Remember: Bears are wild animals that generally feed on berries. They aren’t searching for any human contact and they are certainly not lurking between the bushes to hunt you down. Respect the way nature works and it will respect you back! Unfortunately lots of garbage is lying around the hiking paths and in the campsites of the Romanian mountains. This is a very bad habit caused by lack of education and common sense, causing terrible destruction to some amazing natural places. So if there’s one thing you’ll take away from this article, let it be this: don’t litter in nature! Collect your water bottles, tissues, napkins and everything else in your backpack and bring them down from the mountain. Don’t make your mark on nature- let it make its mark on you! Take photos, make memories, but most importantly – enjoy the view while hiking in Romania! The Hasmas Mountains in the eastern Carpathians. I’m so glad you had the chance of visiting Romania, and that you are also promoting it in a way through this article. We loved our time in Romania. We never got to hike some of these hikes but after Adrienn’s post we want to know. Thank you for reading T bug. Hi! Thank you for the lovely blog. It contains a great deal of interesting information. Since it is your home country I’d love to get some more information from you. I am planning a trip to the Carpatian mountains. I’m going there because of the unspoilt and beautiful nature, but I am also a big wildlife fan and I am very excited about seeing bears in the wild. Of course not by running into one, just like that. I’m actually looking for a guided trekking. I’ve already found some organizations online, but I like the local businessess more. I also don’t really want to trek with a group of 10 people, rather 3 or 4. Could you give me some advice on what to look for? Thank you! First of all, I am so glad you are coming to Romania and actually including our beautiful mountains into your itinerary. For guided mountain treks, I’d recommend Mountain Guide Sibiu (http://www.mountainguide-sibiu.ro/index.php/en/) – from what I know, they guide smaller groups as well, feel free to contact them for more info! Adrienn, it’s a very informative and highly inspiring article, THANK YOU VERY MUCH! Wish you all the best in your adventures and explorations! Re sheep dogs. Although I have not met any aggressive ones in Romania, in both Georgia and Bulgaria I have. I Georgia I was quite badly bitten by a Caucasian Mountain dog which rushed at me from a bush while I was talking to its owner I had to get to a hospital quite quickly and have rabes shots. In Bulgaria I was threatened twice by very aggressive dogs in the countryside near Bansko who made it very clear their intention to attack me. Luckily I was carrying a stout stick which they were very wary of and I was able to escape. In both cases they were with other dogs which no doubt would have followed up the attack. This is absolutely beautiful, and I am very excited to discover all of the hiking marvels that Romania has to offer! You have amazing writing and descriptive skills! I am looking to go to Romania for a month, and I am looking at places to form base – for hiking, would you suggest staying in the western part of the country? The Western part of the country is very beautiful and offers a nice insight into Transylvanian back country. 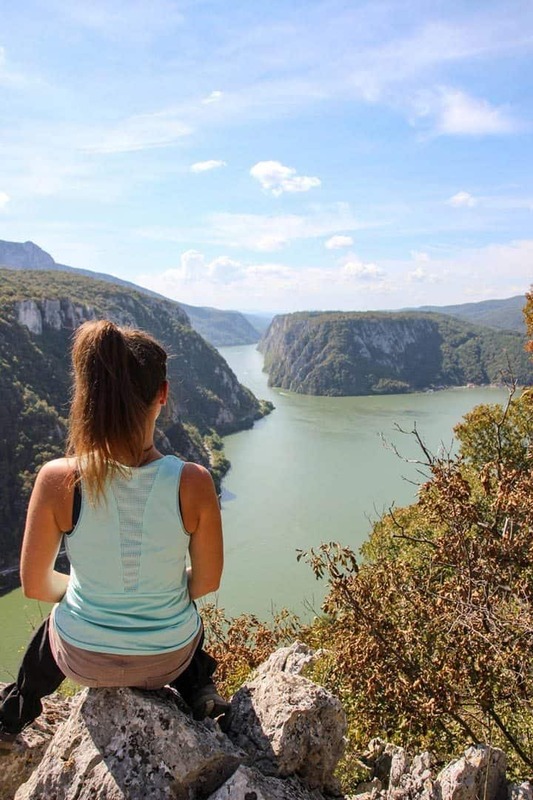 The most spectacular hike there is located in the Apuseni Mountains and is called The Lost World (in Romanian – Cetatile Ponorului si Lumea Pierduta), known for its interesting limestone formations which include gorges, caves and awesome peaks. Thank you Adrienn. Can you suggest any good hiking trails in the North East part of Romania? 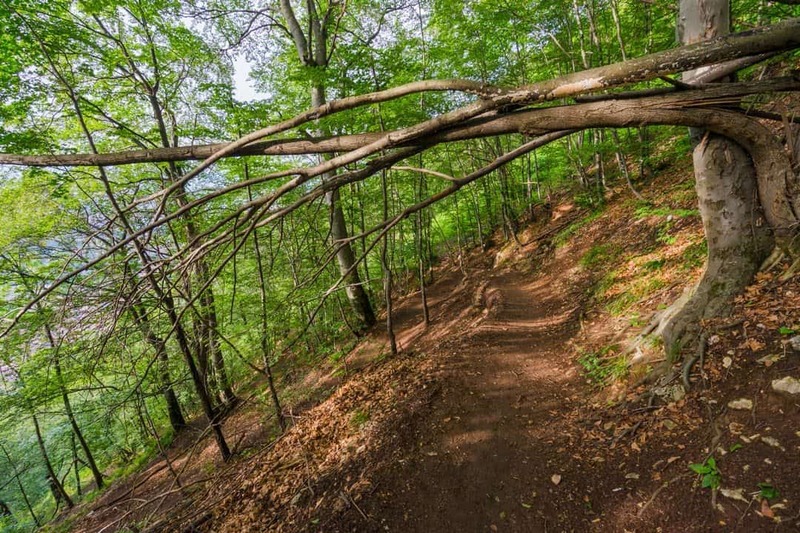 Is there an easy way to reach hiking trails in Romania using public transportation or must you rent a car to reach the start point of the hikes in the carpathians , gorges and falls? I am 18 and want to travel to a european country this summer backpacking for 4 days and do mostly hikes, Less interested in musuems. So if you think Romania is difficult for me to get to places where else would you recommend -inexpensive, hiking , easy to get to places without a car. Thanks so much for the info Alesha & Jarryd. Very useful. We are headed to Romania in a week’s time and wondering if early-May is warm enough to go hiking in the country? Realize there are large temperature variations depending on the location, but wondering if there are any specific locations where we can hike in during May. Hi Ashish, thanks for reading. Andrienn wrote a great article for us. We loved our time in Romanian. Not too sure about the weather then. 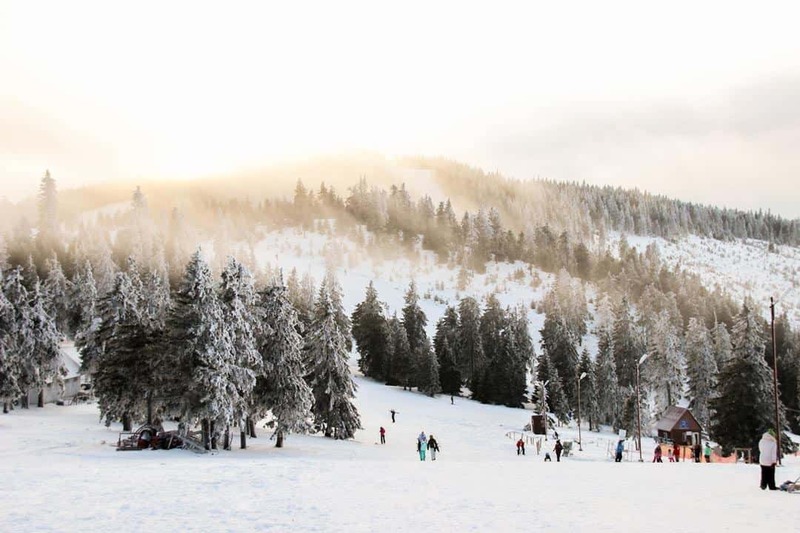 We recommend bringing some warmer clothes just in case. If it is not raining get out there and go hiking. Doesn’t matter if it is a little cold. Happy travels. what I find most first time travelers enjoy about hiking in Romania is that there are also beautiful trekking trails for beginners. Some people are not up for long trekking tours, but they don’t want to get bored and I think that, like you said, you don’ t have to go out of your way to be able to enjoy some nice views.